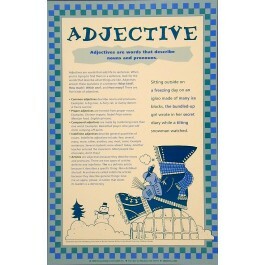 This language arts poster teaches about adjectives. It is one of a series of eight posters that feature the different parts of speech. 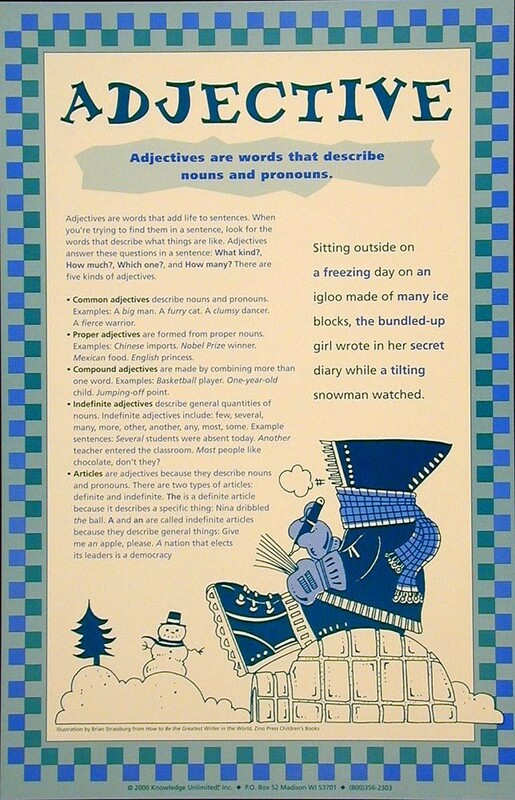 The poster defines what an adjective is, explains the different kinds of adjectives, with examples, and features a sentence that highlights the adjectives. The whimsical drawings and clear explanations make this poster and others in the set a fun way to teach grammar.